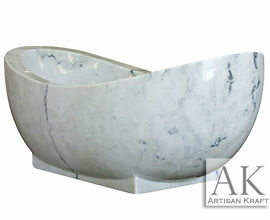 Shop for the highest quality clawfoot marble bathtubs. 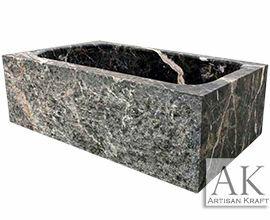 Our premium freestanding stone tub collection will fit all your needs. 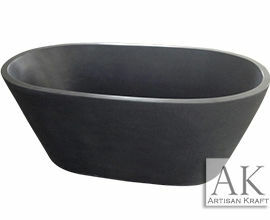 Double-ended curved & double slipper tubs at great prices. 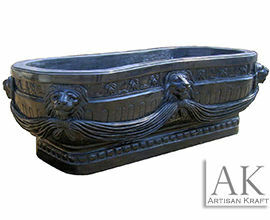 These copiously artistic stone tubs can now be yours. 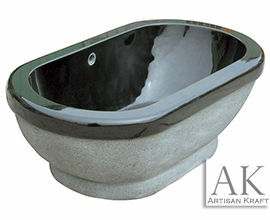 We customize each bathtub to fit your space. 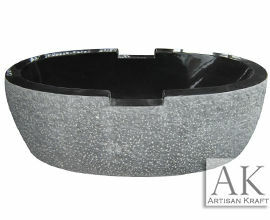 Visit our showroom to explore this scintillating collection. 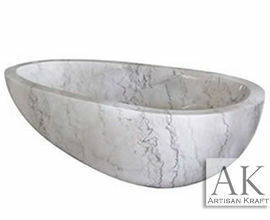 Marble bathtubs from Artisan Kraft are the highest quality and finest designs. 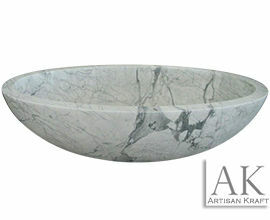 A bath is one of the ultimate forms of relaxation why not relax in the ultimate marble tub. 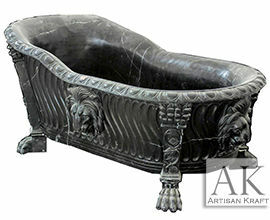 Here your dreams of a custom bathtub can be made a reality. 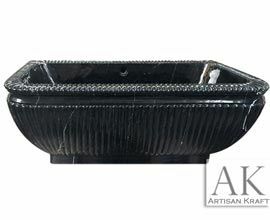 We can make that bathtub that you once saw at a resort or on an Instagram post. 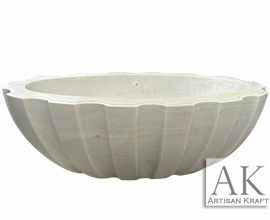 Those luxury Bali resorts with their outdoor spas can now be a reality at home. 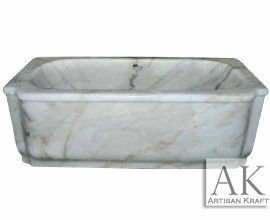 We will work with you to design the prefect tub. 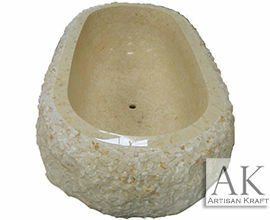 One fit for a luxury resorts of Bora Bora right in your home bathroom or backyard. 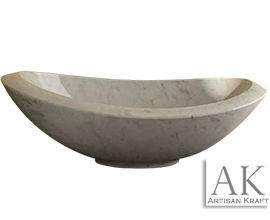 They create a mesmerizing aesthetic impact in the contemporary bath spaces. 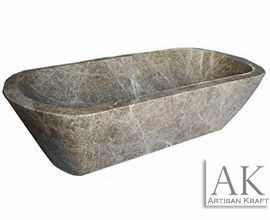 Whether you are looking for a regal design or chasing the unobtrusive modernistic charm crafted from marble, we cater to all your desires with our hand-crafted designer bathtub range. 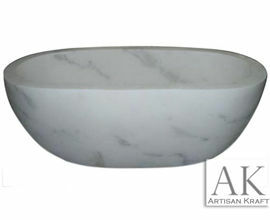 Just looking at the photos of these marble bathtubs it evident that they come in a huge selection. 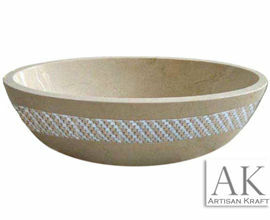 Not just in the color selection but also in the texture finishes. 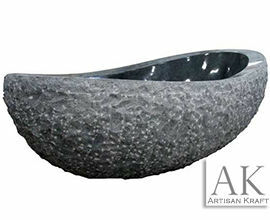 A polished finish is the most common. 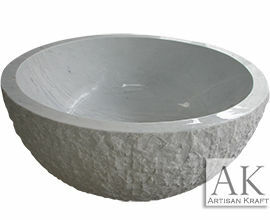 There is the option of a chiseled textures can add a rustic or more natural feel to the stone. 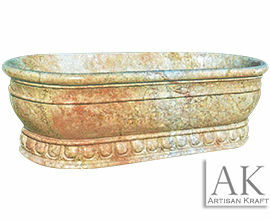 The interior of the bath-tub would still be polished and smooth. Honed is another option various polished. 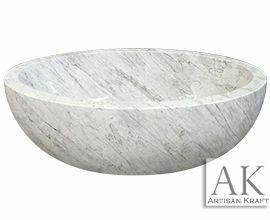 This is a flat very natural look. 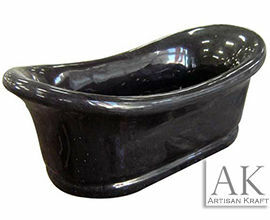 Slipper tubs are or double slipper are traditionally what one sees. But the shapes are as numbered as the colors. 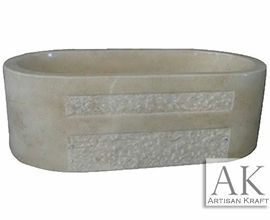 Round or rectangular pick either as long as it fits the space it is being made for. 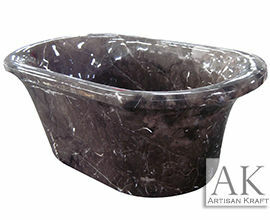 Custom options are available with all our tubs. 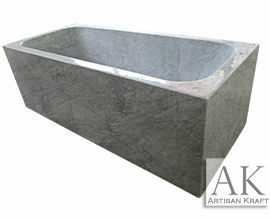 A fully made-to-order bathtub is our typical order and we are ready to manufacture your perfect one. 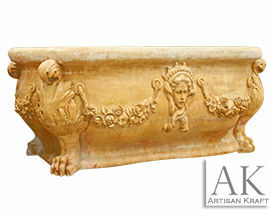 We have been providing our customers with beautifully hand-carved fireplace surrounds for well over a decade. 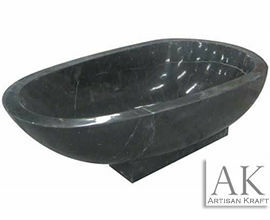 Along with those fireplace mantel surrounds we also offer distinguished stone bathtubs and sinks. 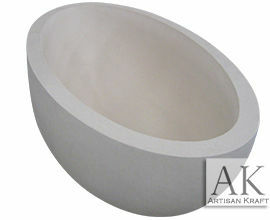 Artisan Kraft also has cast stone range hoods in traditional and contemporary styles. 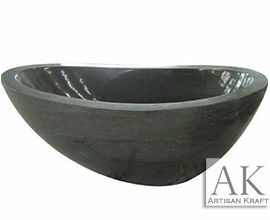 The range hoods are offered in limestone and other natural stones as well. 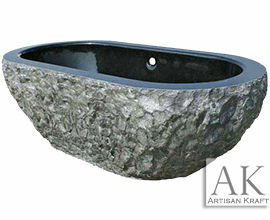 Our showroom near Michigan and Indiana has all these products on display. 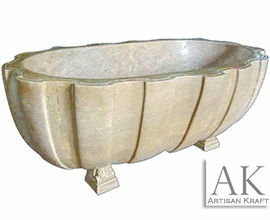 We have an exterior free-standing bathtub spa display to inspire you for your own home spa.